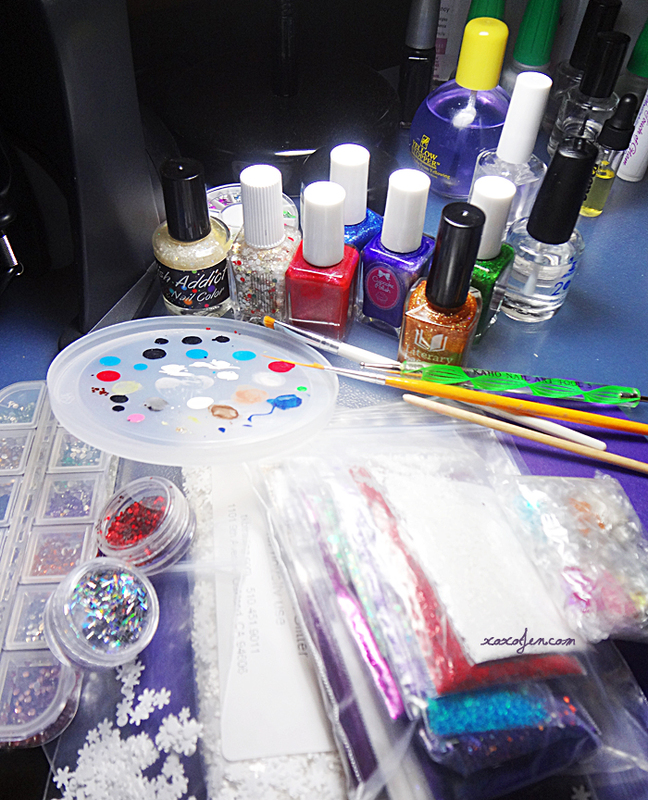 What is Jen up to with this mess of nail supplies? 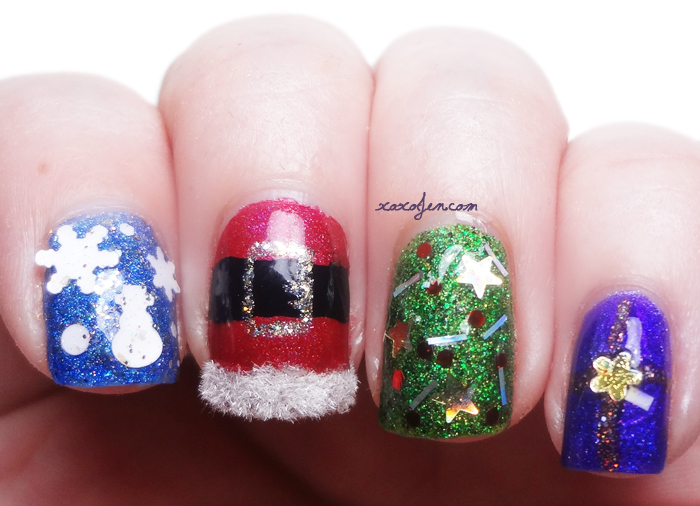 She's doing a special mani for the Hobby Polish Bloggers' holiday link up! Hobby Polish Bloggers is a group of nail bloggers on Facebook. We're a diverse group who help each other discover new ways of getting the blogging done, sharing feedback when asked, and growing our friendships inside and outside the group. Each and every lady in our group is special and supportive of each other and we each contribute in different ways. The theme for December is Holiday manicures. 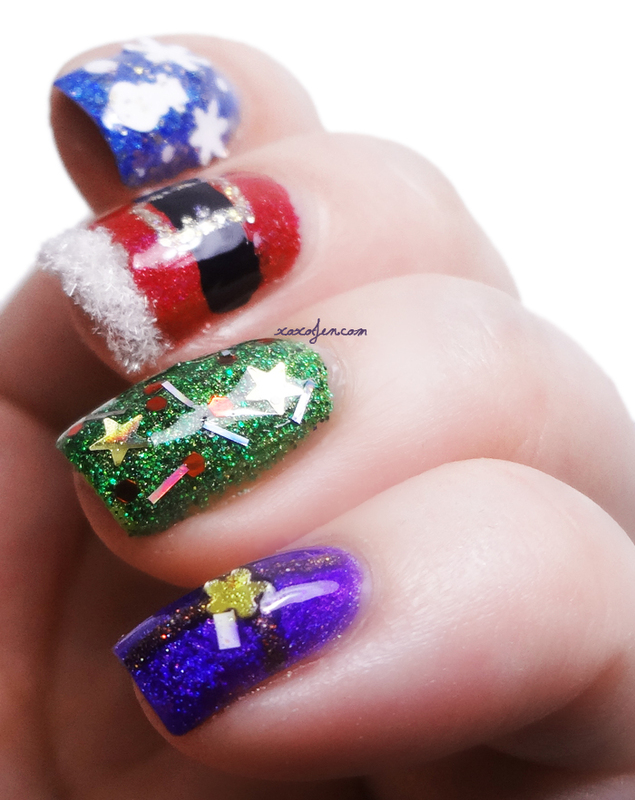 I've created some nail art to share some of my holiday memories! The first nail reminds me of the snowstorm a few years ago on Christmas Eve when Jason and I ended up spending the night at my mom's because there was so much snow, we couldn't even back out of the driveway. The second nail is Santa's suit which reminds me of Christmas's past when my grandpa would dress up in the Santa suit my grandma made for him. He'd hand out presents to my sister and I every Christmas. The third and fourth nails are a Christmas tree and a gift, which are always a part of our holidays - past, present and future. 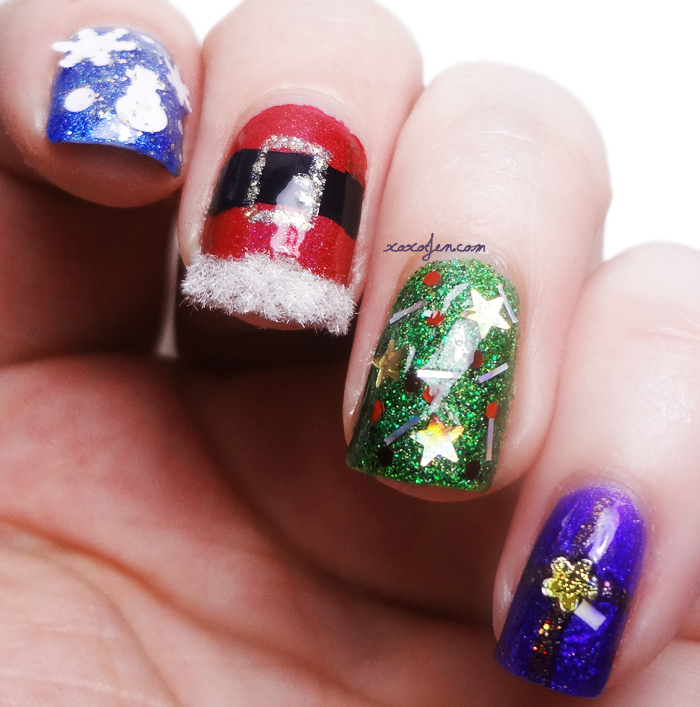 I hope you've enjoyed my nail art and have a Merry Christmas and Happy Holiday! Aww this manicure is so cute! Love the Santa outfit one a lot.